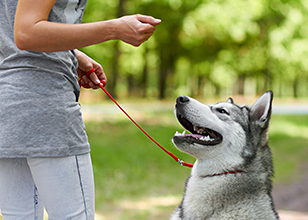 It is essential to set ground rules and train your dog from the beginning to help them behave well. Thinking of how you would like them to act when they are grown up can help you decide on puppy training. In addition to this, dog training can also help them adjust and live in our world. To have an enjoyable relationship with your pup, you must try to understand their world. They are not aware of the difference between right and wrong and do not know what the desired behaviour is unless you train them well and teach the basic things. When you have a dog in your home, it is essential to ensure that family members also take responsibility and treat them with consistency. This will help you avoid any confusion and make things easier for your pup. In addition to this, they must also know the basic commands and use them consistently to help your dog learn them. It also helps to establish house rules, opt for potty training, and follow a daily routine for activities such as feeding. Dogs usually learn from both good and bad experiences. They tend to repeat the behaviour that they associate with good experiences and refrain from the bad ones. You can train them to know what kind of behaviour and habits are desirable. You could also enroll them in a dog training school to help them learn many essential things. Reward-based training is based on a proven theory. It says that if a dog is rewarded for a behaviour, they are more likely to repeat it. Rewards can come in many forms including praise, patting, their favourite food or toys, more playtime, attention, and other privileges. Food is usually the most preferred form of reward that pet owners use. In addition to helping them recognize good behaviour, it also helps to increase your importance and leadership in your dog’s eyes. Is Punishing Your Pup’s Negative Behaviour a Good Way to Train Them? Punishment of any form is not an ideal way to teach your dog. Non-physical methods including spray collars and rattle bottles as well as negative or aggressive techniques such as hitting or isolating them are never a good idea. They can do more harm to your pup than good and won’t teach them to behave well. Remember that training and learning is a constant process. Avoid raising your voice when teaching them. Always be patient with your dog when they are learning new things because it may take time for them to understand. Never train your pup when you are feeling tired, frustrated, or stressed. When your dog is behaving well, remember to reward them. While rewarding your dog with food, make sure the size is small and use varied choices to gain their attention. Allow them to spend some time alone to help them get adjusted and avoid separation anxiety when you are not around. 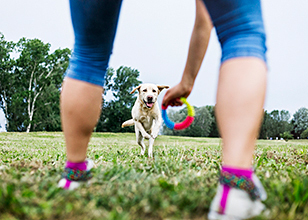 Ensure that the training period is fun for your dog. At Alpha Paws, we have dog training courses and classes to help train your puppy. We specialize in obedience training to help them learn proper behaviour. We can help you to develop a great relationship with your puppy by assisting you to understand them. For more information about our basic puppy training methods, call us at 1-877-868-5248 (PAWS) or fill out our online form.